On the morning of August 24, A.D. 79, a great noise was heard in the area around Vesuvius. A mushroom shaped cloud of gas and volcanic rock rose high in the air, darkening the sky. A shower of burning cinders and rock fragments covered Pompei. It lasted until the next day, caving in roofs and claiming its first victims. 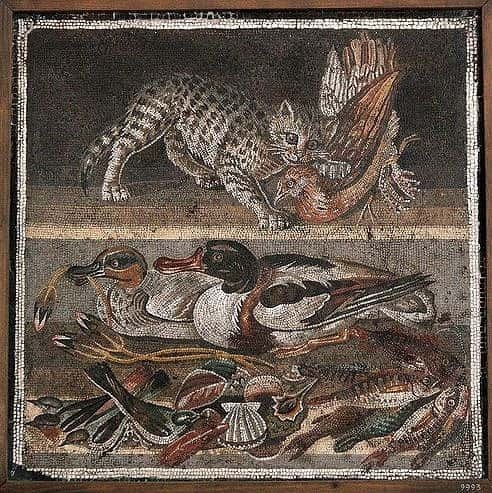 The Pompeians tried to take shelter in the houses or hoped to escape by walking on top of the layers of pumice stones constantly being formed, which by this point were more than 2 meters deep. But at dawn on August 25, a violent explosion of toxic gases and burning cinders devastated the city. It infiltrated everything, taking those who were trying to flee by surprise and making every form of defense vain. A shower of very fine ash was deposited everywhere to a depth of more than six meters, enveloping everything and adhering to the forms of the bodies and even the folds of their clothes. When, two days later, the fury of the elements abated, the entire area had a different aspect: a white blanket covered everything; the Sarno river was trying to find its course again after having been filled with volcanic rubble; and the coast, submerged by the material spewed forth by Vesuvius, had encroached on the sea! The whole city was declared off limits, to protect the property of the survivors, but clandestine diggers tried to plunder it anyway. For a long time the human presence was rare and marginal, and only under the emperor Hadrian, around 120 A.D., was at least the road system in the area reopened to traffic. On March 23, 1748 the Neapolitan abbot Martorelli, aided by the military engineer Roque de Alcubierre, who believed he was on the track of the ancient city of Stabiae, opened the first archeological site at Civita, at the crossroads of The Stabian Way and via di Nola. Coins, objects, statues and frescoes were found and above all the first victim of the eruption emerged: a skeleton! 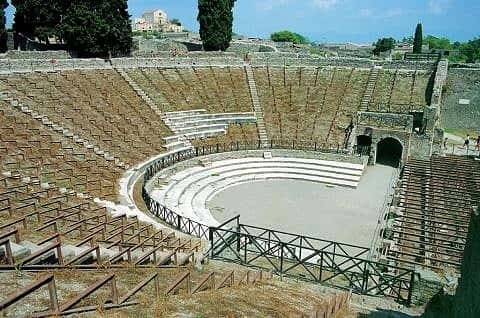 At this stage sporadic and disconnected explorations were made at various points of the area which led to the discovery of the site of the Amphitheatre and of the Herculaneum Gate necropolis with the adjacent buildings. The scant interest of the site led de Alcubierre to move the field of action back to Herculaneum. 1750 saw the lucky discovery of the Villa of the Papyri with its magnificent library of 1800 papyri and the collection of bronze statues. 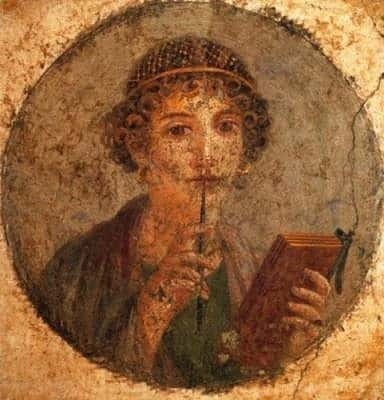 In 1754 digging started in Pompeii again and the Villa of Cicerone at the Herculaneum Gate, already identified in 1749, and the Praedia of Iulia Felix north of the Amphitheatre were explored and then covered over again. Only in 1763, during excavations of the Herculaneum Gate necropolis, was it possible to associate the Civita hill with the ancient city of Pompeii, thanks to the discovery of the inscription of Titus Suedius Clemens, which made explicit reference to the Res Publica Pompeianorum. From 1759 to 1799, under the regency of Ferdinand IV, but especially with the encouragement of his wife Maria Carolina, excavations gained pace, thanks also to better planning on the part of the new director of archeological works Francesco La Vega. Between 1764 and 1766 digging began on the Theatre area, the Triangular Forum and the Temple of Isis, which would be fully brought to light in the first years of the next century. Sites were opened in the north-west part of the city too, where between 1760 and 1772 the insula occidentalis, the House of the Surgeon and the Villa of Diomede, along via dei Sepolcri, were partially explored. The cellar of the latter revealed 18 victims of the eruption, along with a treasure-trove of gold and silver coins. In 1798, after the defeat of Ferdinand IV, who wanted to march on Rome to rid the city of the French, the army of general Championnet headed for Naples: the king escaped, the French conquered the city and proclaimed the Partenopean Republic. Championnet, a highly cultured man who knew all about the discoveries at Pompeii, ordered excavations to be renewed in the southern quarter where a house, then named after him, was discovered (Reg. VIII, Ins. 2, civ. 3). The Partenopean Republic was short-lived and by June 1799 the French had abandoned Naples; but Ferdinand IV did not return to the city till 1802. In this space of time, political problems and a shortage of funds caused the dig to be suspended. Only with the arrival of Giuseppe Bonaparte in 1806 was interest in Pompeii revived. The king increased the number of diggers (to about 500) under the direction of the minister Cristoforo Saliceti. 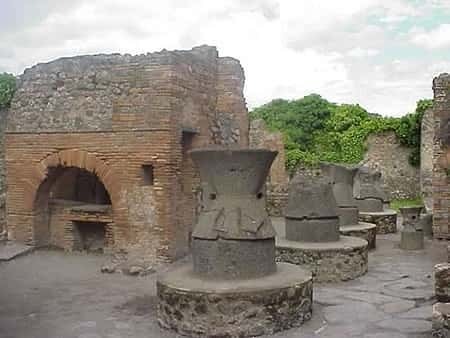 At this early stage, random surveys were made until the Curator of the Royal Portici Museum, Michele Arditi, was appointed to work out a plan for expropriating private land in the archeological area of Pompeii. Arditi also tried to avoid isolated digging, concentrating efforts in the area around the Herculaneum Gate where the House of Sallust was discovered. In 1808, Giuseppe Bonaparte became king of Spain and left his post to Joachim Murat. Both he and, in particular, his wife Caroline, immediately put their enthusiasm for archeology into practice. The queen moved to Portici from where she kept a personal eye on the dig, giving continual encouragement and funds to the workers, who at this stage numbered 624! It was under the illuminated auspices of queen Caroline that the plan to identify and unearth the city walls took shape; it was an idea that had already been aired by La Vega and Arditi, and aimed at discovering the actual extent of the city. In this ten-year period, they dug per topographic area, in order to link excavations in the southern part of the city (the Theatre district) with the Herculaneum Gate area to the north and the adjacent insulae, trying also to explore the central part of the Forum. 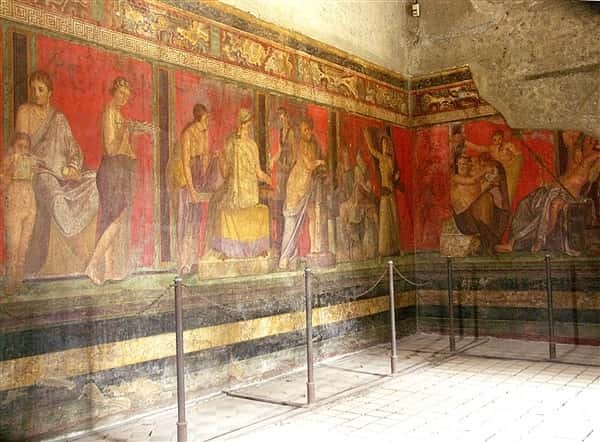 The most important discoveries included the Basilica and the House of Pansa (Insula Arriana). With the return of Ferdinand of Bourbon to the throne of Naples, after the Congress of Vienna, excavations slowed down once again. His scant interest in archeology caused a setback compared to the Murat period: expropriated land was actually put up for sale again and the workforce was reduced to such an extent that by 1818 there were only 13 diggers left. However, considerable work was dedicated to recovering the buildings of the Forum, the Theatre district and those around the Herculaneum Gate. The following years, between 1820 and 1830, were particularly fortunate for Pompeii, not only because Francois I - who had succeeded his father - was much more interested, but above all because the systematic exploration of via di Mercurio and of the insulae of regio VI, led to the discovery of a series of architecturally interesting houses with rich pictorial decorations. 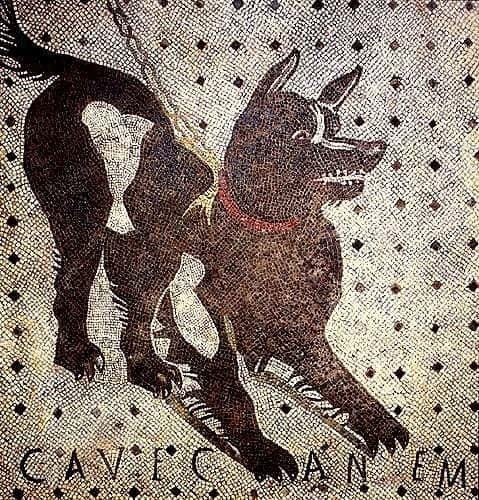 This decade culminated in the sensational discovery of the mosaic depicting Alexander the Great and the magnificent mosaics of the whole House of the Faun (1830-32). Thanks to Francois I, excavations started up at Herculaneum again, after a standstill of about half a century. His successors - Ferdinand II and Francois II, who only ruled for a year - did not show the same enthusiasm for Pompeii, except to turn it into a local curiosity and pleasure spot, a sort of open-air museum where distinguished guests could be taken, such as Alexandre Dumas in 1835, Pio IX in 1849 and Prince Maximilian in 1851. There were important discoveries in this period too: in 1845 most of regiones VI and VII along The Abundance Way were brought to light, up to the eastern boundry of The Stabian Way, and work was started on unearthing via della Fortuna and via di Nola and the adjacent insulae. 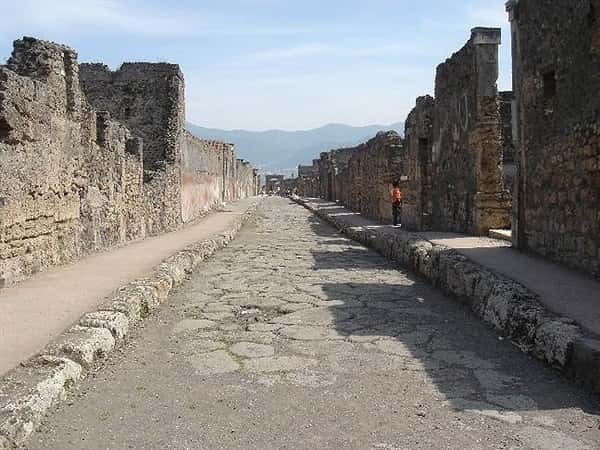 Another important factor, which should not be underestimated, was the new railway line, completed around 1840, which enabled people to reach Pompeii from Naples, entering the site at the Marine Gate. After the unification of Italy, work started again with both improved excavation and restoration methods and with greater human and financial resources. This radical change was also due to the fortunate choice of Giuseppe Fiorelli as director of archeological works and curator of the Museum, a job he undertook with systematic discipline and to which he brought a totally new approach. He completed old work in regio VII by fully excavating the insulae, unearthed the insulae flanking The Stabian Way and the buildings beside the Stabian and Marine Gates. the first investigations to identify the ancient coastline (in 1878). In the following period, the post of director was taken over by Giulio de Petra, famous above all for having deciphered the 'wax tablets'. the north of the Vesuvian Gate, to try to identify the Pagus Augustus Felix suburbanus (a suburban settlement of the imperial age). The first excavations contracted to private individuals date back to this period, including, for example, a dig commissioned to Gennaro Matrone along the Sarnus canal to try to find the port of Pompeii (in 1899-1901). The beginning of the new century was marked by bitter controversy about awarding excavation contracts to private individuals and thereby scattering artefacts and paintings far and wide, such as the case of the silver treasure found in the villa of Publius Fannius Sinistor at Boscoreale (excavated from 1894 to 1900) which was sold to the banker Rothschild. De Petra was unjustly involved in the scandals and briefly replaced by Ettore Pais. In 1905 Antonio Sogliano took over as director of works, promoting an ambitious and articulated plan of action that he never managed to complete. 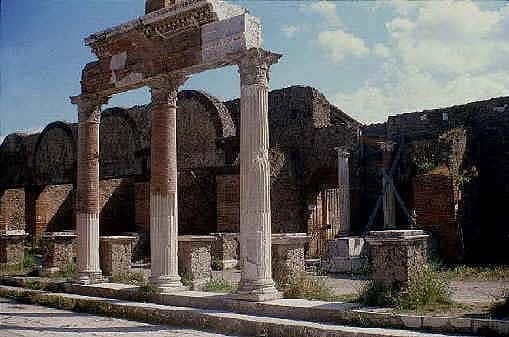 It involved exploring Pompeii underground in order to identify the pre-Roman ages (Mau-Dorpfeld samplings of 1902-6) and the excavation of the necropolises outside the Nolan and Vesuvian Gates and the Samnite tombs in the Villa of the Mosaic Columns outside the Herculaneum Gate. Buildings excavated between 1860 and 1910.
presence of which was amply testified by the paintings discovered in Pompeii up until then. In fact, the excavation of The Abundance Way - the main artery of the city - confirmed his hypothesis, bringing to light the fronts of buildings with more than one floor and revealing the productive and commercial aspect of the town, which had so far only been considered for its rich residential properties. The most interesting discoveries included Stephanus's Laundry and Asellina's Thermopolium. In September 1924, Amedeo Maiuri was appointed director of archeological works; he stayed in the job for 37 years until 1961. Thanks both to his versatile activities and to the length of his term in office, this period was one of the most active and innovative in the history of the excavations of Pompeii. Taking over where Spinazzola had left off, he undertook excavations along The Abundance Way, completely and systematically clearing the insulae of regiones I and II from west to east. The purpose was to join up with the area including the Amphitheatre and the Large Gymnasium which were finally completely unearthed. In the immediate suburbs of the city he completed the excavation of the Villa of the Mysteries (1929-30) which had already been started between 1909 and 1910 by the owner of the fund named Item. On top of that, continuing one of Murat's most prestigious undertakings, Maiuri finished isolating the whole circuit of Pompeii's boundary walls (1933-34). In particular, he solved the problem of removing the piles of earth left by previous digs in order to make the whole archeological area usable. He unearthed the whole southern front with the facades of the urban villas of regio VIII (1954) and, proceeding eastwards, the Nucerian Gate necropolis (1936). It should be emphasized that one of the most important aspects of his archeological work was the systematic investigation of the soil of Pompeii by means of stratigraphic samplings, the results of which he regularly published in the magazine "Notizie degli Scavi di Antichità". In this way he managed to give Pompeii not only a reputation as a museum city but also the chronological sequence of the various stages of its history. Buildings excavated between 1910 and 1961. The serious and increasing problems involved in the routine maintenance of the site and in preserving and restoring the buildings and art work forced excavations to slow down after the great progress made by Amedeo Maiuri. Since 1961, when de Franciscis took over as director of archeologicial works (1961), efforts have been concentrated on fully restoring and understanding each building investigated. Digs no longer involve wide areas, but are limited to individual nuclei, and special attention is dedicated to preserving the contexts. The most significant discoveries of the last few years include: the House of C. Julius Polybius, excavated between 1964 and 1977; the town house of M. Fabius Rufus (VII, 16, 22), already explored by Maiuri in 1958 and finally brought to light in the 1970s; and then the Villa of Poppea at Oplontis in 1964. A serious earthquake in 1980 further highlighted the problem of safeguarding and restoring the archeological sites affected in the Vesuvian area. This catastrophic event prompted the Engineering Corps of the Italian army to make a survey of the damage, and a campaign was launched to heighten awareness both nationally and internationally. 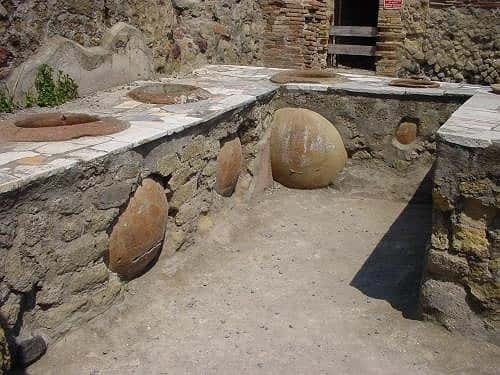 As a consequence, Pompeii was granted special funds (FIO-BEI) which enabled some particular projects to go ahead, including: excavation and restoration work on regio II, insulae 1, 8, 9, and regio I, insula 20 along via Nocera, which can now be enjoyed by the tourists; the excavation of the Suburban Baths. 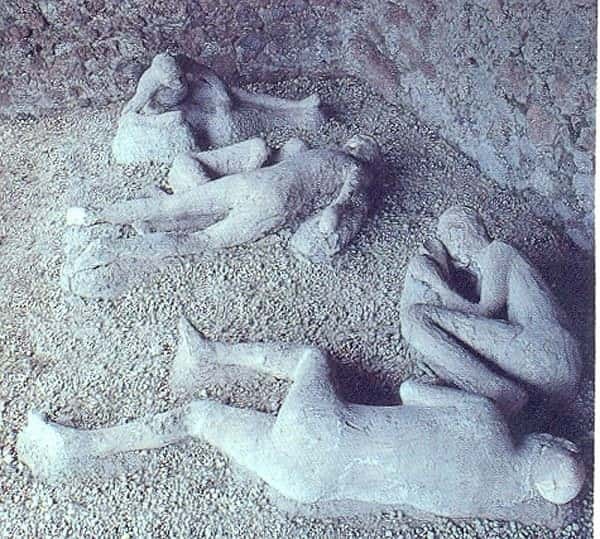 Since 1987, digging has proceeded in Pompeii in regio IX, in particular in the House of the Chaste Lovers in The Abundance Way. Thanks again to the special funds (FIO-BEI), work started again in 1989 to complete the job of excavating and restoring the numerous insulae of regiones I and II.